Concatenate or simply cat is very useful command in Linux and Unix systems. Cat have the ability to create files, concatenate files or redirect output. In this tutorial we will look different useful examples for daily usage for system administrators. 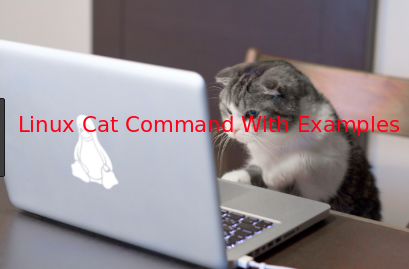 Syntax of Linux cat command is standard like most of the Linux tools. Man page can be get like below. As we can see cat command provides a lot of features. The most popular way to use cat command is printing contents of a file. cat command will read given file line by line and print to the terminal or shell accordingly. In this example we will print file named myshell.sh which is a bash script. cat command accepts multiple parameters as file name to print all contents of provided files. In this example we will print file contents named myshell.sh and myscan in a row. An empty file will be created when cat output is directed to the file name like below. After redirect control character should be send to close file. While working more than one text file with more or less commands cat provides practical solution to pipe all files contents. While printing file contents with cat the line numbers can be shown to direct line specification.If we need specific line numbers it will be very helpful especially using with grep command. We will use -n as option to enable line number printing. If we want to put delimiter at the end of each line we can use -e option. This will put $ to the end of each line. There is also an option to separate tabbed lines with -T parameter like below. ^| will be used as tab sign to show as characters. Redirect will used to provide standard output content to the next command standard input. Cat prints files content and following file will get content of the previous file. While redirecting outputs previous content will be overwrite. to prevent overwrite and add new content to the existing content >> operator can be used. Another useful usage of cat command is redirecting standard input. Generally the content of a file is the standard input. One of the most funny usage of cat command is adding multiple files into single file with a single shot. Using cat with sort command is an other useful scenario. All content of files are piped to the sort and sort will sort all content accordingly. How To Install Google Chrome Linux, Ubuntu, Fedora?